Auroville is a 12 square KM Universal/International township near Pondicherry, South India and is an interesting experiment in Human Unity. There are currently around 2300 residents from more than 50 countries living here but only 40% of them are Indians. Here, the land belongs to nobody, there is no religion/political systems, there is supposed to be no monetary exchanges (but there is), work is more of an endeavor to advance human consciousness than maximize profits, and there are no salaries based on designations. All Auroville residents are volunteers and receive a fixed monthly allowance of around Rs. 10,000 using which they can pay for food, provisions, electricity, etc. Living here is not inexpensive as volunteers need to build their own homes in a short period after they arrive. Since land belongs to no one, they cannot sell their houses if they choose to relocate elsewhere. Many residents may have other sources of income which they use for expenditure as profits from commercial units located within Auroville goes to the Central Fund. Some basic facilities like education, basic health care, culture & sports activities are free of cost (for the residents). In Auroville schools, a student can achieve 12th Std level educational qualification without writing/passing a single exam! But other forms of traditional education options are also available here and in neighboring Pondy. Solar panels power most houses in Auroville. Solar water heating systems, wind mills, solar kitchens, and biogas systems are wide spread. Organic food is grown in various farms around Auroville and many experiments in organic farming have been encouraged. Alternative health care systems like Homeopathy, Ayurveda, Acupuncture, Reiki, etc. are actively practiced. More than two million native trees have been grown on 2890 acres around Auroville. They have also built multiple water storage reservoirs in that area. I learned something about Auroville and their excellent initiatives (commercial and cultural) during the recent ‘Auroville in Chennai’ festival. I have written about some of them: Sadhana Forest, Tsunamika Doll/Upasana, One Asia Project, Medical Clowning, etc. I’ll write about a few more in the near future – stay tuned! To me, Auroville represents an Ideal in Sustainable Living. An ideal I am trying to achieve living in a city. I am surprised on how much I didn’t know about an interesting experiment going on right in my neighborhood! Auroville is a concept that inspires me. I hope it will inspire you too. Thanks for the interesting information on Auroville. On the surface, it looks like a “communist” society. I could be wrong. I too thought of this. I guess there are similarities between the two. But since that system has resulted in research/implementation of sustainable living principles, I am in favor of it. We visited Auroville as tourists. Yes, it was quite impressive. The only disappointment was that they did not allow ordinary people like us to enter the temple. I’ve been there twice and it’s such a beautiful place, You can feel the positive vibes when you step inside the area which has that big ball kind of structure. I was not very clear of how exactly it functions, thanks for explaining that. That big ball like structure is called Matri Mandir. Excellent place for meditation. I never knew this much information of Auroville. We used to visit the samadhi and the prayer hall and come back. Knew that foreigners lived there. Sounds good. Waiting for more information! Thank you, D.I. 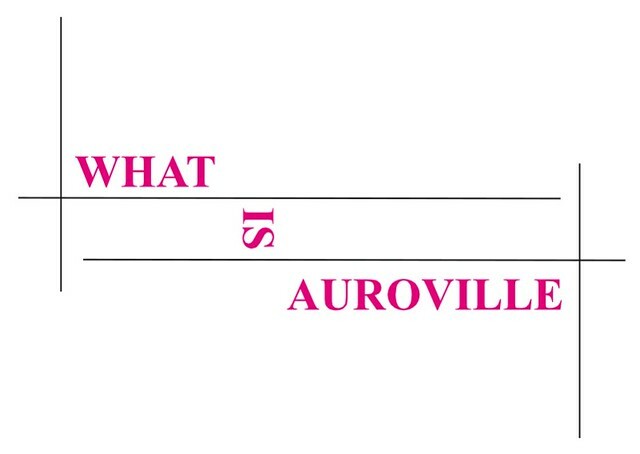 I knew that Auroville was a Universal Township but didn’t know much beyond that before this Auroville in Chennai festival. Very informative post on Auroville and no doubt it’s an inspiring concept and whoever comes across will desire to experience their living. Very informative… Thanks for sharing! Also, since the organizers of Auroville in Chennai festival gave me three different booklets on Auroville, it was easier to get all this info. But I am sure their website is also useful. The day I was there, I promised myself to go there once again… but for a longer time! That’s cool — All the best 🙂 I hope I can follow some of their sustainable principles and activities in my city! This place sounds like a different planet to me!!! Glad to know, at least now! 🙂 Your post makes me want to visit this place again.. very very interesting!